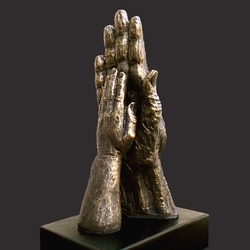 Precious From Cradle To Grave by Timothy P. Schmalz is a stunningly detailed Christian sculpture that would make an incredible addition to any home decor setting. This sculpture is simple but powerful. The grandchild’s hand against the grandmother’s hand in a position of prayer makes powerful statement that we have moral issues in society regarding the sanctity of life at both ends of the spectrum. 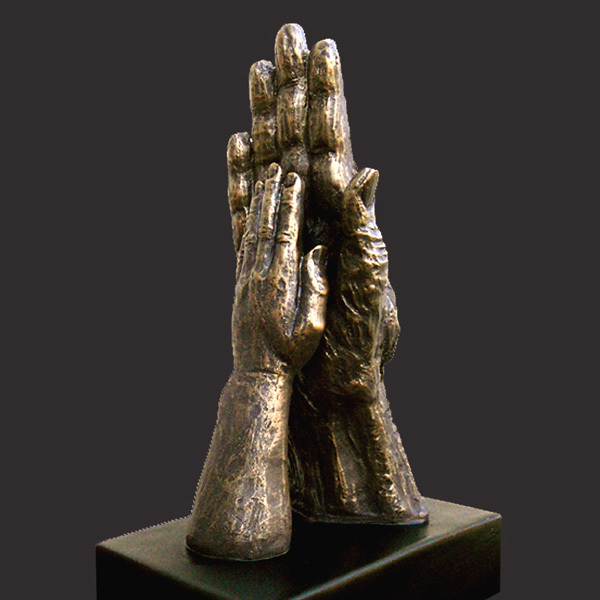 This solid resin-stone cast is coated in a realistic bronze finish and is mounted on a solid matt black base. Timothy personally sculpts every original small masterpiece complete with his signature or monogram. Each replica is detailed by hand to the exacting standards of this modern day master sculptor.